There's no mystery to this easy nail design. Pick your pop color for a base and add the tips in your choice of metal. 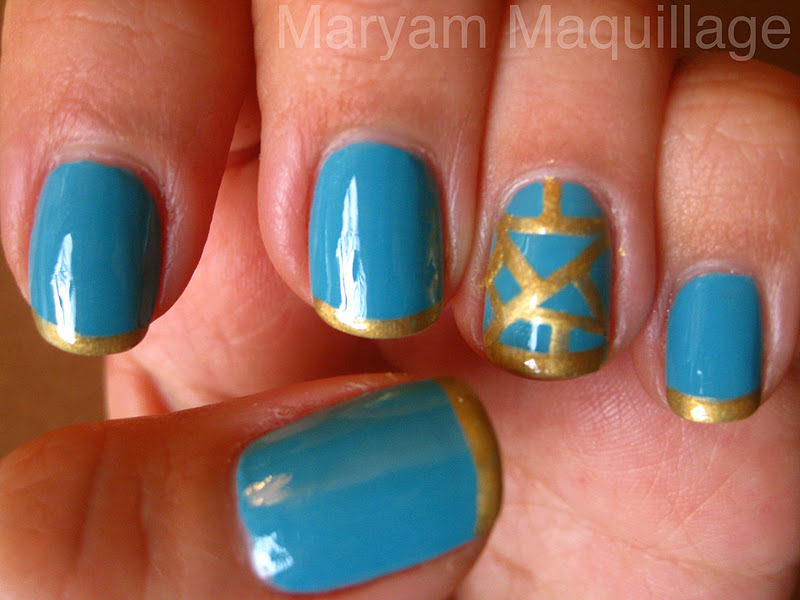 Use tape as a stencil for the accent nail if you're not comfortable painting it freehand. My printed Indian scarf adds dimension and interest to any piece of clothing--even a winter parka! What is your POP color and how do you wear it? Teal really brings out the best in your eye color! I will try teal! Gorgeous! So pretty!!! I love the colored mascara...i could never pull that off. I love everything especially your nails. Love love it!! 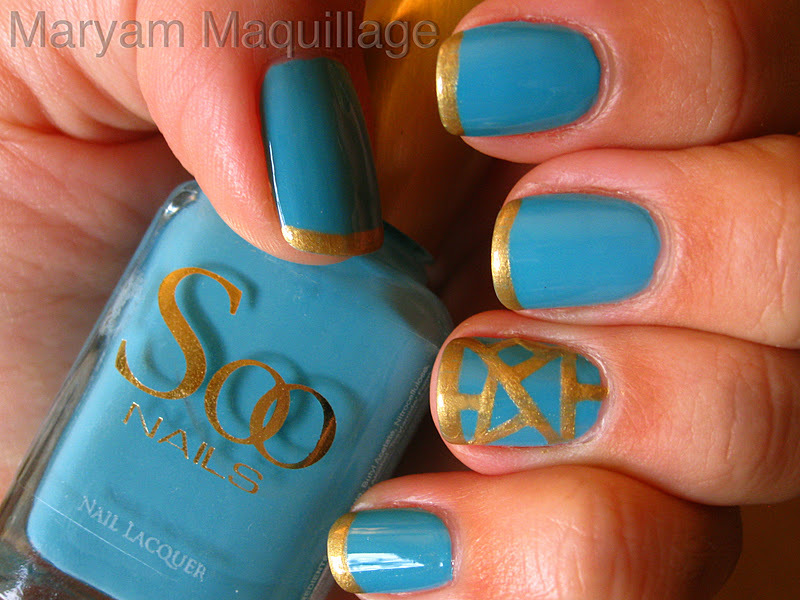 Teal is such an awesome colour! I seriously LOVE the nails! I will have to try something like that soon! Ahh, I love it ALL! Where did you get your scarf? 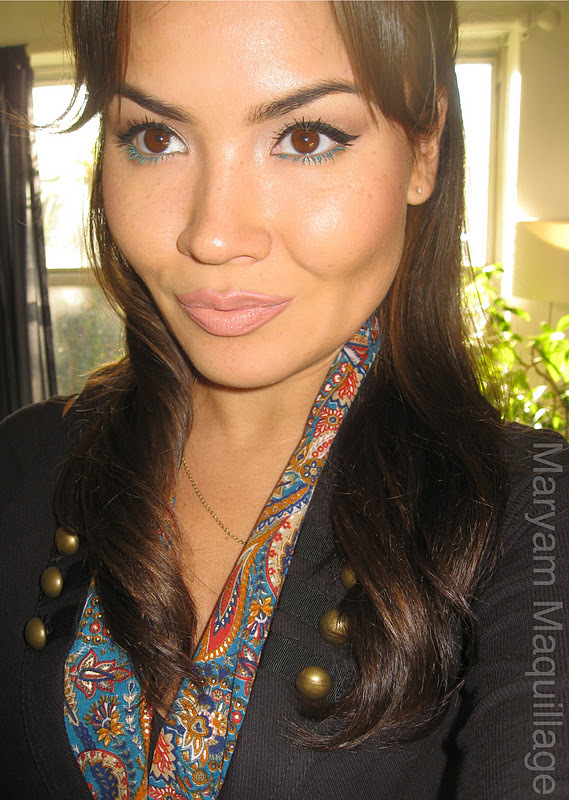 I love to wear bright eyeliner on my upper lash line : ) Or bright nail polish. Oh my goodness, your lower lashes look so cool! I want to try this! Not sure if it will look as nice as yours because my lower lashes are sparse haha. Wow I love this! 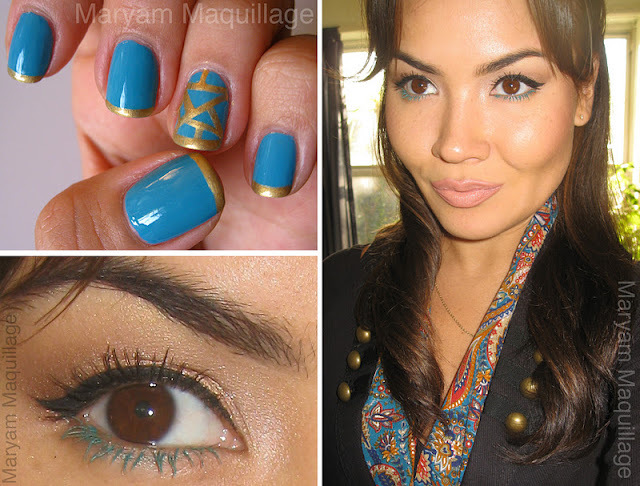 I love the accent nail, and the teal mascara on the bottom lashes. It really makes your eyes pop. oh how fun! i've never thought to just do the bottom lashes like that. 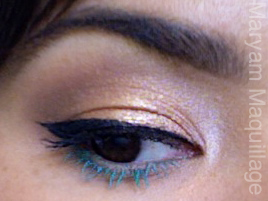 my fotd was similar, but with liner :) totally cool! adore your makeup :) It looks so lovely ! Oh those nails are GENIUS! that's absolutely my favorite color, although usually when it comes to jewelry, love it on nails as well :D I really want to try this, must find a good gold varnish! YAY TEAL! I love the coloured mascara! I have a bunch of it and usually only use it when I do something weird with my makeup. 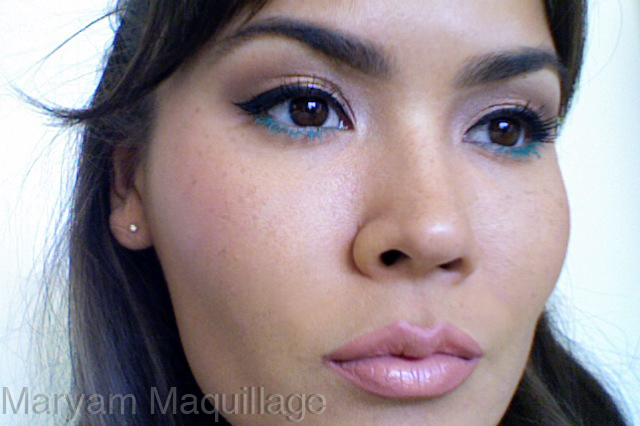 This is a really good idea for adding interest to a daytime look.